Labor Day, Sept. 2, 2019. Arrive 7:30am for an 8:30 start. The Lost Forester is an intense 8-10 mile adventure run through wild off-trail terrain. The Pine Valley 5.5k and 11k trail runs are scenic trail runs through the Pine Valley Recreational Area. 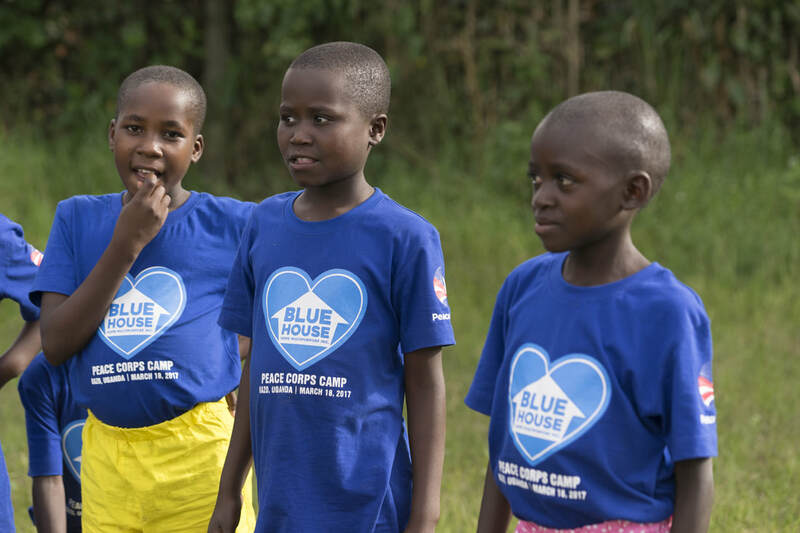 Your participation supports Blue House Uganda, a Minnesota nonprofit for orphans and vulnerable girls in rural Uganda. These races help girls and young women grow in a safe, caring environment, and receive an education. 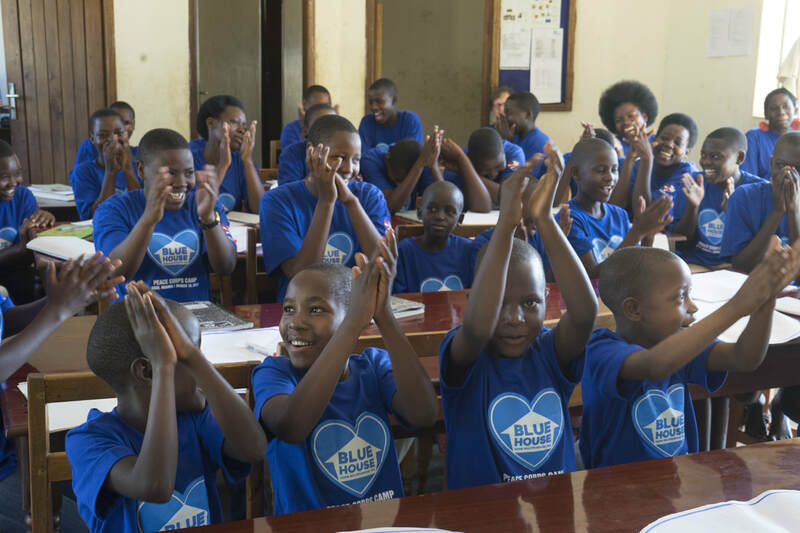 The Blue House offers them opportunities to become independent adults, with a chance to beat the poverty they were born into. It is a 8-10 mile trail and off-trail race up and down the steepest hills, through swamps, creeks, and dense woods. The route is an off-trail ribbon line until the runners find the Lost Forester, who will provide a map and directions to return to the finish. The runners will choose their own way back to the finish. Runners will be self-supporting the whole distance: bring your own water, gels, and compass. For safety a compass is required for all participants. Long sleeve shirts, pants, and sturdy shoes are highly recommended. Be safe. Don’t do anything stupid. Hazards include: a) Poor footing and falls – sprained ankles are possible. b) Brush scratches to skin and eye – sun glasses and long clothing help prevent them. c) Ticks carrying disease – check your body and clothing for ticks after the race, take a shower/bath and wash and dry clothes the same day. The fastest time minus deductions with a full set of check plot cards and evidence of seeing The Lost Forester wins. Successful completion of the race requires bringing back a full set of check plot cards. The Lost Forest has left check plot cards in the woods. Each runner needs to bring back a full set of check plot cards. Runners will not know in advance the number of cards that make a full set. Runners will be able to obtain a full set if they follow the path marked with ribbons. Successful completion of the race requires bringing back evidence of seeing The Lost Forester. After runners find The Lost Forester, runners will return to the start any way they wish. There will not be a marked path. The Lost Forester will provide a map and some instructions. 5-minute time deduction bonus for wearing plaid flannel at the start, during, and at the finish of the race. There is a 3-hour time limit. However, all runners will get a time. All runners must check in at the finish even if they drop out. If you do not check in we must go looking for you. That will not be nice. To finish the race, the runner needs to go under the finish banner and then ring the Lost Forester's lunch bell. The race will be limited to 25 runners to minimize environmental impact. If there are more than 25 willing runners, they can sign up on the wait list in case a registered runner doesn’t show up. Otherwise runners will be added to the 11 k race. The ribbon line will be marked by ORANGE KILLER TREE and plain orange ribbon. The ribbons will be 20 to 100 feet apart. When at a ribbon, runners will be able to see the next ribbon or if runner goes forward around a tree or bush the next ribbon will be seen. Sharp turns will be marked with 2 ribbons hanging next to each other – up to 1 foot apart. Check plots with data cards will be marked with 3 ribbons next to each other. Select a check plot card that matches the digits of your bib number. The Pine Valley Trail Runs are for you if the Lost Forester Run sound too intense. The Pine Valley Trail Runs wind through scenic pines and hardwoods and are suitable for runners of all levels. Choose either the 5.5 km or 11 km. Come join us for a pleasant run through the woods on wide, mowed trails at the Pine Valley Recreational Area. ​Run for the Blue House girls!